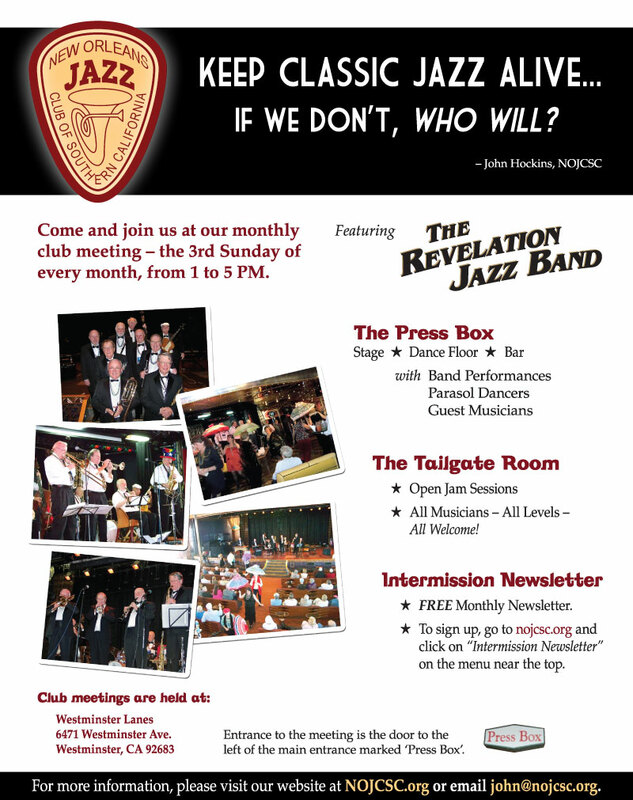 Please join us at our next Club meeting on Sunday, September 15, 2013 at the Press Box at Westminster Lanes, Westminster for an entertaining afternoon of Traditional Jazz and Swing featuring the Revelation Jazz Band and Club Musicians performing all afternoon. The Club also offers members a “Tailgate” room set aside for musicians of all ages and skill levels to practice their instruments with direction from accomplished musicians. The Club welcomes trombonist, vocalist & band leader Paul Ingle all the way from Melbourne, Australia. 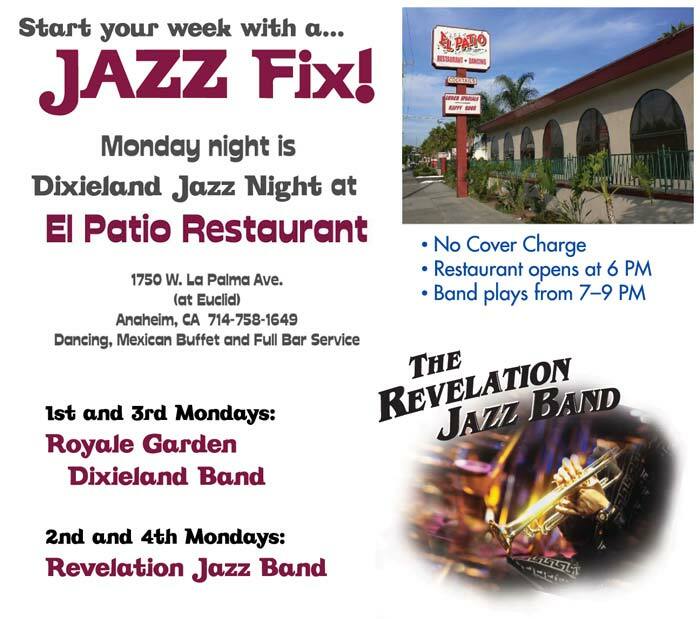 He will be sitting in and performing with the Revelation Jazz Band at the September 15 club meeting. This indeed will be our finest hour, with Paul playing with tremendous infectious energy all afternoon! 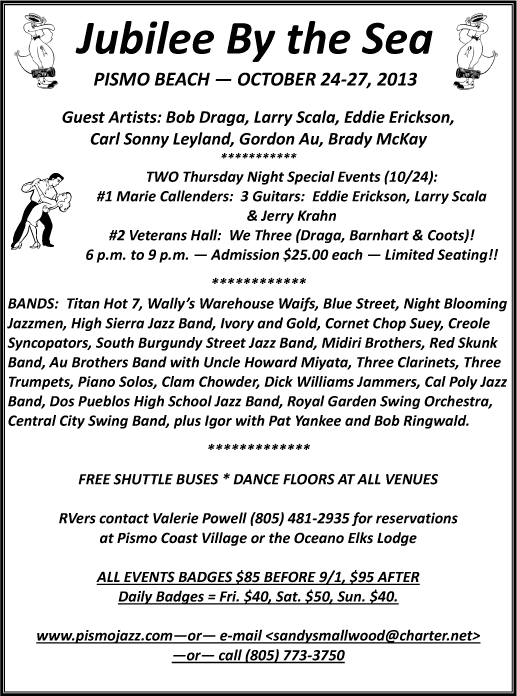 This will be Paul’s second annual visit to our Club. G’day Mate! At the club meeting on August 18th, we had the pleasure of meeting and hearing several young musicians in the Tailgate Room for the first time. A special thank you to Ryan Merrill for his helpful recruiting work! Currently we are looking for more clarinet/sax players and rhythm section players, particularly on piano and guitar/banjo. The goal of the Youth Jazz Band is to become a true, self-contained performing ensemble, able to play at jazz clubs, community events and jazz festivals without the need of adult direction during performances. If you know a young musician (perhaps a child, grandchild, or even a neighbor or friend) who might want to get involved, please let them know about us! My contact info is: Steve Tyler, steve [at] nojcsc [dot] org, cell/text (650) 224-8094.